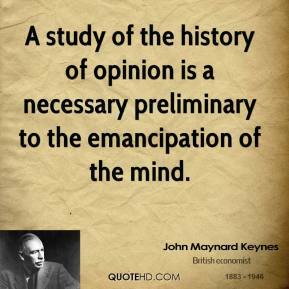 A study of the history of opinion is a necessary preliminary to the emancipation of the mind. 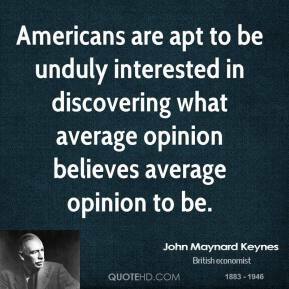 Americans are apt to be unduly interested in discovering what average opinion believes average opinion to be. 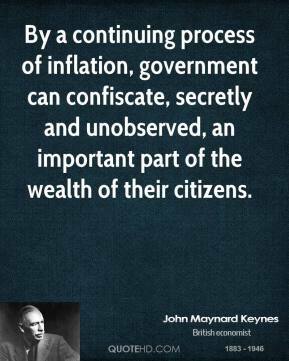 By a continuing process of inflation, government can confiscate, secretly and unobserved, an important part of the wealth of their citizens. 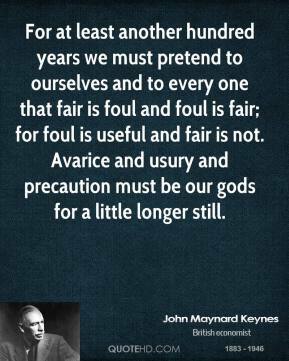 For at least another hundred years we must pretend to ourselves and to every one that fair is foul and foul is fair; for foul is useful and fair is not. 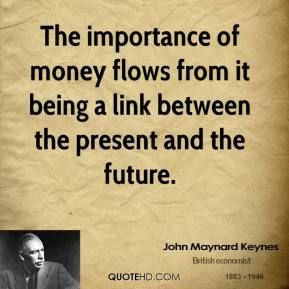 Avarice and usury and precaution must be our gods for a little longer still. 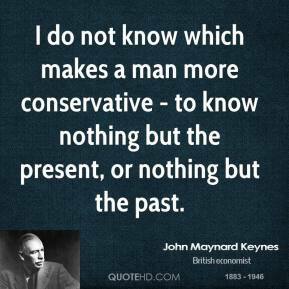 I do not know which makes a man more conservative - to know nothing but the present, or nothing but the past. 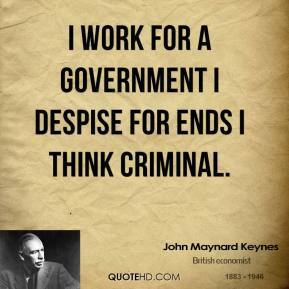 I work for a Government I despise for ends I think criminal. 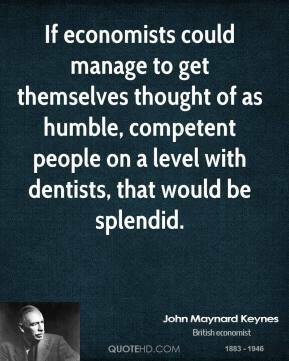 If economists could manage to get themselves thought of as humble, competent people on a level with dentists, that would be splendid. 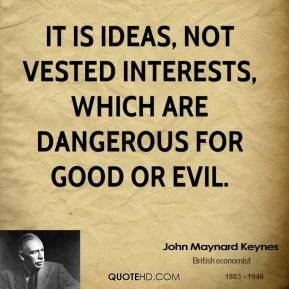 It is ideas, not vested interests, which are dangerous for good or evil. 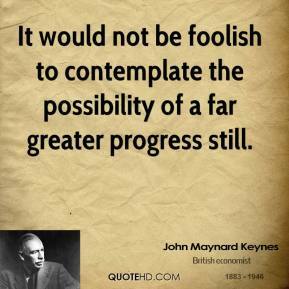 It would not be foolish to contemplate the possibility of a far greater progress still. 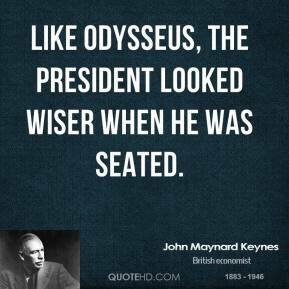 Like Odysseus, the President looked wiser when he was seated. 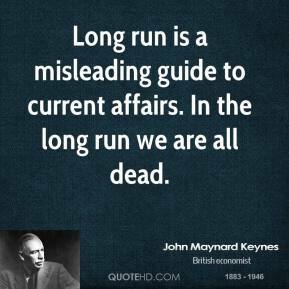 Long run is a misleading guide to current affairs. 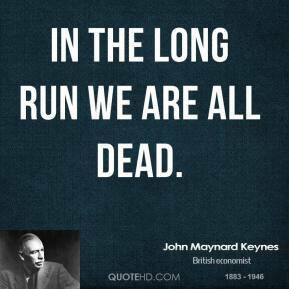 In the long run we are all dead. 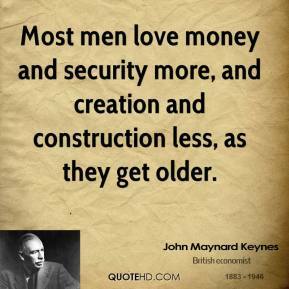 Most men love money and security more, and creation and construction less, as they get older. 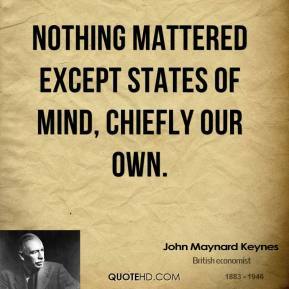 Nothing mattered except states of mind, chiefly our own. 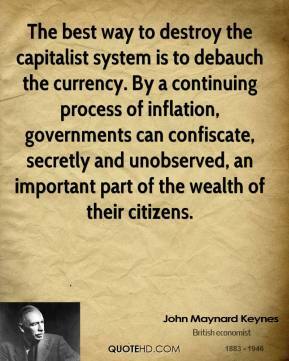 The best way to destroy the capitalist system is to debauch the currency. 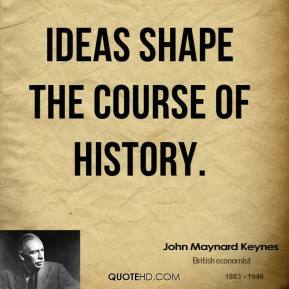 By a continuing process of inflation, governments can confiscate, secretly and unobserved, an important part of the wealth of their citizens. 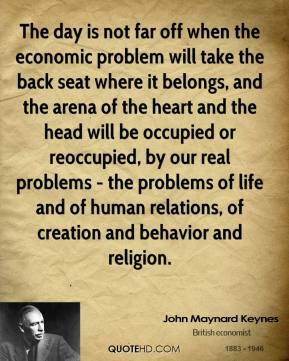 The day is not far off when the economic problem will take the back seat where it belongs, and the arena of the heart and the head will be occupied or reoccupied, by our real problems - the problems of life and of human relations, of creation and behavior and religion. 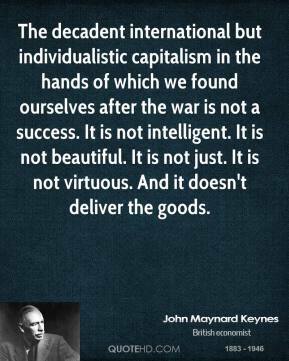 The decadent international but individualistic capitalism in the hands of which we found ourselves after the war is not a success. 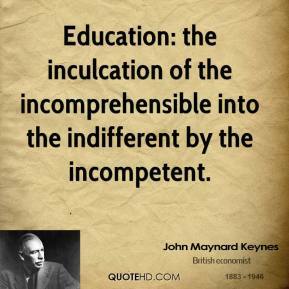 It is not intelligent. 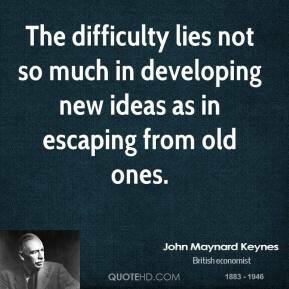 It is not beautiful. 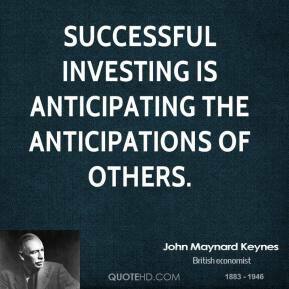 It is not just. 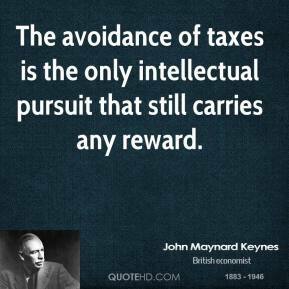 It is not virtuous. 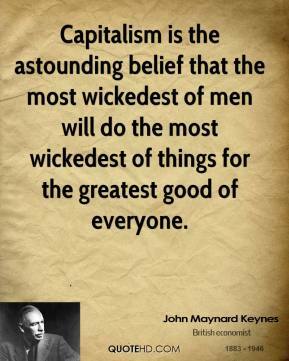 And it doesn't deliver the goods. 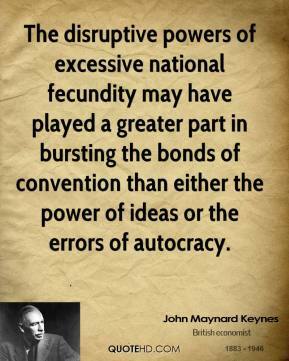 The disruptive powers of excessive national fecundity may have played a greater part in bursting the bonds of convention than either the power of ideas or the errors of autocracy.